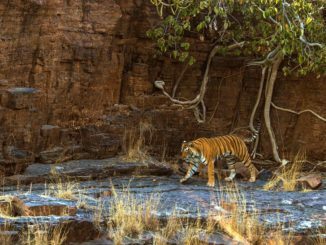 The Anamalai Tiger Reserve, located in wearwen ghats, is a pristine place created for conservation of striped big cats. The reserve spreads over two districts of Tamil Nadu state in South India, namely, Coimbatore and Tiruppur districts. It is located on the Anamalai Hills of the Western Ghats. 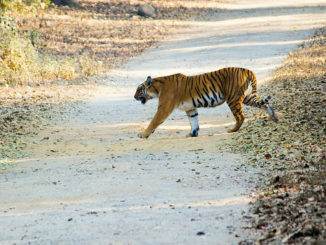 The tiger reserve came into being on 27 June 2007. 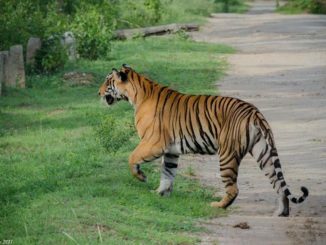 This was the day when the Tamil Nadu Environment and Forest Department issued a notification declaring the erstwhile Anamalai Wildlife Sanctuary as Anamalai Tiger Reserve. An area of 958.59 sq. km. was allotted to the project. 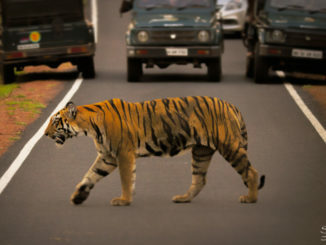 The initiative was taken under the Wildlife Protection Act 1972. 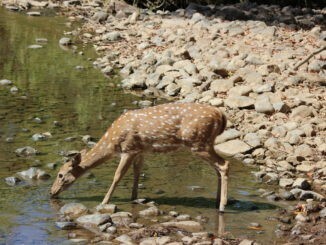 Anamalai Tiger Reserve is also known as the Indira Gandhi Wildlife Sanctuary and National Park. The name is commemorative of the former Indian Prime Minister Indira Gandhi’s visit to the park in October 1961. At present, the reserve consists of a core area spreading over 958.59 sq. km. and a buffer zone of 521.28 sq. km. 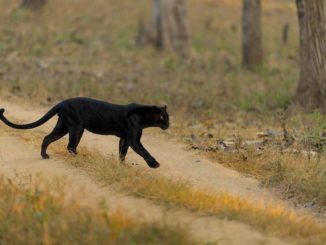 The area that is a Tiger Reserve today has been many other things back in time. By the mid – 18th century, large tracts of forests over the Valparai plateau region had been cleared. Tea and coffee plantations replaced the forests. Labour was brought over from remote parts of Tamil Nadu to work on these plantations. By 1866, two – thirds of the plantations were being controlled by the Europeans and the remaining by traders from remote coastal towns. The tea and coffee produced was exported to Britain and all over Europe. Beverage isn’t the only produce from this area that the world has enjoyed. Large areas around, what is today known as, Top Slip were reserved for timber businesses. The forest here was extensively exploited for teak. Since the region was under control of Bombay Presidency, all the timber was supplied to Bombay Dockyard. The teak trade has contributed immensely to the area’s present form. One can wonder how a business that relies on deforestation can be good for forest conservation! In 1855, the newly established Tamil Nadu Forest Department brought this region under its ‘sustainable forest management for teak plantations’ programme. Through this programme, the forest base was preserved for longer existence. This preserved area was notified as Anamalai Wildlife Sanctuary in 1974. Within the sanctuary, three areas comprising unique habitats were notified to form a National Park in 1989. The areas were – Karian Shola, Grass Hills and Manjampatti Valley. When combined, the land stretch measures 108 square Kilometres, which is the core zone of the 958 square Kilometres Wildlife Sanctuary. 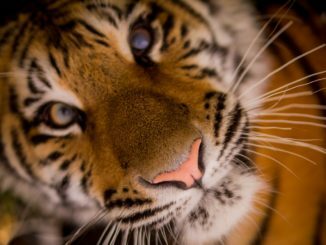 The sanctuary was declared a Project Tiger Reserve in 2007. 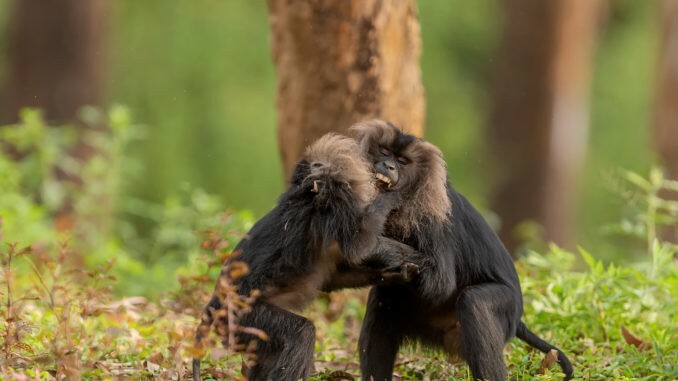 Presently, the National Park and the Wildlife Sanctuary are being considered by UNESCO integration into the Western Ghats World Heritage Site. 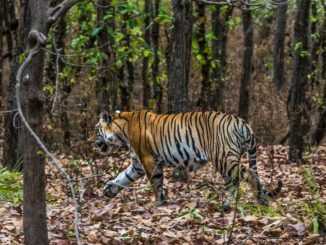 The Tiger Reserve is also an important site of indigenous history. About 4600 people from six different indigenous tribes live in 34 settlements in and around the Reserve. These tribes are: Kadars, Malasars, Malaimalasar, Pulaiyars, Muduvars and the Eravallan. Forest Cover: The Tiger Reserve is covered in the typical vegetation of South Western Ghats. The plant species number to 2000, out of which 400 are medicinal in nature. The topographical diversity and rainfall variation allows many different kinds of vegetation to thrive here. Wet evergreen forest, shola grasslands, moist deciduous, dry deciduous, thorn forests and marshes are all found at different altitudes. Most of the original evergreen forest cover is filled by introduced teak plantations, bamboo stands and reeds. A rare South Indian species of conifer, namely Podocarpus wallichianus, is also found here. 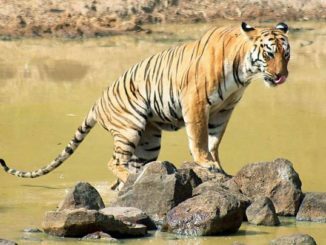 Mammals: Royal Bengal Tiger, Indian Elephant and Dhole make the threatened population of species in Anamalai Tiger Reserve. Naturally, they are the main attractions for tourists. The near threatened Indian Giant Squirrel, Indian Leopard and Indian Pangolin are also found. 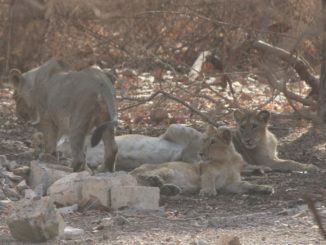 Other mammal residents include – Golden Jackal, Jungle Cat, Spotted Deer, Indian Crested Porcupine and many others. Birds: 250 species of birds soar in the sky of Anamalai Reserve. The near threatened Great Indian Hornbill is a prime attraction. Other important varieties are Ducks, Teal, Partridge, Indian Peafowl, Parakeets, Hawk Eagles, Falcons, Kites and others. The Reserve is also home to 15 endemic bird species exclusive to the Western Ghats. Reptiles: Commonly spotted varieties are Spotted Leaping Frog, Tree Frogs, Pythons, Cobras, Vipers, Grass Snakes, Forest Cane Turtles, Star Tortoises, Flying Lizards, Chameleons and Tree Lizards. Butterflies: Specialists have identified a total of 315 butterfly species in Anamalai Hills. They belong to five different families. 44 of these species are endemic to Western Ghats. By Air: The nearest airport is Coimbatore. It is 75 KMs away from the Reserve. By Rail: Pollachi is the closest Railway Station, standing 35 KMs away from your tiger destination. By Road: You can drive here from Pollachi via Sethumadai. Top Slip is 35 KMs away from Pollachi. Sethumadai is the entry point to Anamalai Tiger Reserve. Direct Bus Service is available from both Pollachi and Coimbatore. The National Park includes a large tourist complex within the park area. It is located at the Top Slip. In this complex you can find cottages, rooms and dormitories for visitors. You can also avail trekking and safari permissions from here. The Park opens from 6.00 AM to 6.00 PM. You will be charged per person for entry into the park. INR 30/- for adults and INR 10 for children. 4 Hours Trekking Trip is available at a nominal fees of INR 70/- per head. You can avail camera and vehicle services on the spot, by paying their rental fee. Both vehicle and elephant safaris are available at the Reserve.